The world-renowned education advocate Nelson Mandela once said that “If you talk to a man in a language he understands, that goes to his head. If you talk to him in his language, that goes to his heart.” On no other day is this concept more important than today, February 21st – also known as International Mother Language Day. Started by UNESCO in 2000, the day serves to celebrate the diversity of the over 6,500 spoken languages throughout the world. Not only does it celebrate them, but it calls for understanding of the necessity to preserve them and the cultures woven within them. Teaching in mother languages is one of the easiest and most effective ways to ensure language preservation. Thus, in celebration of the importance of International Mother Language Day, let’s take a look at five reasons why all global learners should have access to education in their mother tongue. According to UNESCO’s Global Education Monitoring Report, 40% of the world’s population doesn’t have access to education in a language they understand. That’s over 3 billion people worldwide that miss out on basic numeracy and literacy skills. Without these fundamental skills, further education and skill-development is exponentially more difficult. Since the main reason for this inequality is language standardization, such as in Senegal with French, the most intuitive solution is to promote mother-language classrooms and learning environments. Everyone understands the teacher when s/he speaks in the same language you hear at home. According to a study by Stephen L. Walter of the Graduate Institute of Applied Linguistics, mother tongue education programs produce literate and capable readers within two to three years of schooling. The numbers were not as impressive for second-language classrooms, in which it takes roughly five years to attain the same reading level. As if those statistics are not astounding enough, the study also showed that average-performing students benefit the most from mother tongue education, while only advanced students flourish in a second-language environment. This makes it abundantly clear that mother language education gives the most children access to quality education – children should not have to wait nearly five years to be able to read, nor should only advanced students be able to excel in the classroom. Mother language education solves both of these problems! UNESCO’s Atlas of the World’s Languages in Danger shows that over 2,500 languages are currently endangered. Since 1950, some 230 languages have gone extinct. That’s 230 heritages lost, forgotten, and not preserved. As world-renowned linguist Kenneth Hale once said, “when you lose a language, it’s like dropping a bomb on a museum.” As a global community, we cannot allow another 2,500 languages to have bombs dropped upon them by language-standardization efforts. Teaching in a mother language ensures that languages – and therefore the cultures embedded within them – will survive for generations. Here’s a great example of how fast languages are dying. According to an article by Željana Pancirov Cornelisse of the University of Zagreb, linguists are worried that Dutch will eventually be replaced by English as the first language of The Netherlands. Some experts, such as writer Harry Mulisch, believe that the replacement could take place in as few as 75 years. This is mainly due to an intense focus on English-only classrooms in universities and secondary schools. If this can happen in a developed nation like The Netherlands, the consequences could be tenfold graver in a nation like Zambia, which has over 72 indigenous languages/dialects but lacks many of the infrastructural resources to protect them. As previously mentioned, many studies support the theory that language of instruction is strongly linked to a person's ability to learn how to read and write. A study in Zambia found that students who practice basic reading skills in their mother tongue make more progress in oral reading fluency in other Zambian languages as well as in English. Thus, mother language instruction would be especially beneficial to students in countries with low rates of literacy and/or high rates of linguistic diversity. Since countries that fall into these categories are often underdeveloped, mother language instruction is clearly an effective tool for international development. Impact Network poses a solution to parents facing this challenge. The organization’s schools embrace the eSchool 360 model, which was pioneered to deliver high-quality, low-cost and sustainable education to children in under-served areas. In partnership with Mwabu, they provide teachers with tablets and projectors to deliver class lessons taught in the mother tongue of students and teachers. All of this is accomplished for less than $5 a month per student. In short, if there is one lesson to be taken away from this year’s International Mother Language Day, it’s that mother-tongue education is necessary, feasible, and successful. "The patience to read things I could not yet understand..."
Last week, I finished Educated by Tara Westover. 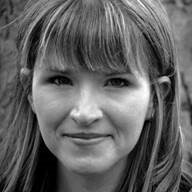 Westover’s book is a harrowing tale of her own journey, documenting a turbulent family life. Her parents were fearful of the Federal government, didn’t believe in doctors or hospitals, and didn’t send her to school for a formal education. Instead they homeschooled her, though she rarely had set lessons and didn’t even have much reading material outside of the Bible. Most days, she worked with her brothers in her father’s junkyard. Importantly, she details an abusive older brother, and cites a failure of her parents to sufficiently protect her or even believe her when she told them about his violent behavior towards her. Against all odds, Westover prevailed. In one of the most gritty stories I have ever heard, she somehow manages to score well enough on the ACT to attend Brigham Young University. She is woefully underprepared for college – but somehow, enough professors see enough talent to help guide her through the future. She goes on to receive a fellowship at Cambridge University, then on to Harvard, and eventually back to Cambridge for her Ph.D. Along the way, she suffers a few setbacks as she struggles to make sense of her childhood and confronts her family about the abuse. Reading these tales, I’m struck by just how unlikely it was that Westover would end up where she has. There were so many times where she could have given in, where she could have taken an easier route, and where she could have not worked quite so hard. Of learning to read, she said “The skill I was learning was a crucial one, the patience to read things I could not yet understand.” But, she persevered – unveiling to the reader just how lucky we are to be able to read the words on the pages she has written. A voice inside of her – a curiosity – a drive – an undeniable grit – propelled her forward. It is this thirst for knowledge that we want to instill in each and every one of our 6,000 scholars at Impact Network. We hope to give them the tools that they need to be Tara Westover in their homes. In their villages. And in each day of their lives, especially outside of our walls. Westover taught herself an unbelievable amount of information, and it didn’t happen in a school classroom – it started with just her and a book of meaningless symbols that she had to work to decipher, that she had to spend time interpreting, and that she had to struggle with in order to succeed. I highly recommend the book if you haven’t read it already! Hi! My name is Julia Darcy and I am a fourth-year International Business student at LIM College. LIM College is the Laboratory Institute of Merchandising and although I originally wanted to develop a career in fashion, my interests have shifted towards educational attainment rates in developing countries, global impact, and sustainability. I have completed two fashion internships based in production and product development, but my most recent internship at Eleis Farm has been the most impactful. Eleis Farm is a family social enterprise based in Guinea, West Africa, that produces, packages, and markets sustainable red palm oil. It was here that I discovered my inherent desire to work for companies with a central goal of impacting people and bettering societies. I am extremely excited for the opportunity to be a part of the Social Media and Communications team at Impact Network. A quality education is a crucial aspect of achievement and success and I believe that every child has a right to education, regardless of race, gender, ethnicity, or socio-economic status. One word that has been used to describe me is wanderlust; the desire to travel to understand one’s existence. I love to visit places that I have never been to before and learn about local traditions and culture from the countries’ inhabitants. I have traveled to Italy, England, Australia, New Zealand, Ireland, and the Netherlands. One of my aspirations is to visit every continent and more than 100 countries. The realization that I am passionate about people and interested in non-profits and non-governmental organizations occurred while I completed my first mission trip to El Batey, Dominican Republic. I traveled to the DR with my mother and three other mission workers through the organization Foundation for Peace. During my first trip, we painted the church in the community, hosted a community forum, and organized Vacation Bible School sessions for the children in the community. During my second trip, we built a perimeter wall surrounding the children’s playground and hosted two community forums since the number of active members in the community doubled since the previous year’s trip. I bonded with the children, particularly the young girls, and learned about their educational struggles. The girls in El Batey usually do not attain a high school diploma due to the community not having a high school and the lengthy, costly travel associated with getting to the nearest high school in the city Piedra Blanca. I am traveling to El Batey for a third time this summer and plan to use my knowledge gained at Impact Network to better influence the girls and women in the community. Teachers undoubtedly have the ability to change the lives of their students. Most of us can remember a particular teacher that helped shape who we are today. An inspiring and informed teacher is among the most important factors influencing student achievement. Ten years on, it was all brought back to where it began. 2019 kicked off with the usual weeklong teacher training, but this time it was with all 150+ teachers, and it took place at our first Impact school in Joel village. It was the biggest training our team has ever organized and had the added element of about 70 people staying in Joel village overnight! Thanks to our incredible management team, it was a great success. Introducing, our 2019 Teaching Superstars! I’m Isaac – one of two Communications & Social Media interns joining Impact Network this Winter/Spring. I’m super excited to craft social media strategy, help plan the upcoming StandUp NY event, and sink my teeth into any and all other projects that come my way. I’ve been following Impact Network’s work in rural education and e-learning for the past few years, so it’s great to have the opportunity to help the organization achieve and sustain its ambitious mission. I’m a senior (wait what? Already?) at Fordham University with a double major in International Studies and French, specializing in Global Affairs. My time at Fordham has offered me some pretty incredible experiences. In the summer of 2017 I studied in Dakar, Senegal, through the university, where I took coursework in African public health and development. Last year at this time I was studying at the Sorbonne in Paris, where I studied geopolitics – particularly how geography interplays with human rights. I recently finished my senior thesis, in which I researched and analyzed the effects of French colonialism and cultural imperialism on Senegalese sociomedial norms. It goes without saying that this education at Fordham and abroad has brought my attention to countless ongoing disparities and human rights violations across the globe – one of which being access to quality education. It’s for this reason that my professional interests lie in the intersection of global health and education. My first internship was at CMMB – an NGO focused on promoting healthy lives for mothers and children worldwide. The position helped me hone skills in recruitment and screening. Last summer I interned at Global Health Corps, where I worked in operations and programs to help build the next generation of health leaders. I now have the opportunity to bring these skills and knowledge to Impact Network – my first communications & education-centric position. Super exciting! When I’m not doing any of the above, I can be found indulging in any of my myriad interests. I perform in various improv theaters across NYC, browse through 90’s clothes at thrift shops, satiate my wanderlust by exploring new cities, and watch the best TV show of all time – Seinfeld, among many things. I was also born and raised in the snowiest city in the United States – Syracuse, NY. I’m truly looking forward to the next coming months with Impact Network. The organization’s efforts are so important to the future of development and education. Looking back through older blog posts, it’s hard not to be inspired by the strides that have already been accomplished. I’m proud to add my voice, knowledge, and skills to this movement! Derek Anthony Redmond was born on 3rd September, 1995. He is a retired athlete, and held the British Record for the 400 meters sprint. He also was part of the team that won Gold medals in the 4x400 meters relay in 2986 and the 1991 world championships. But it is the 1992 Olympic Games that Redmond is perhaps most famous for. In Barcelona, after a very successful first round, he tore his hamstring in the 400 meters semifinals. Despite the injury, he continued to the race while limping. Along the way, his father found a way onto the racing tracks and assisted his son through the reminder of the race. Together, father and son continued to the finish line. As they completed the full lap of the track the crowd gave them a standing ovation. Although Redmond was disqualified and listed as not having completed the race due to outside assistance, the incidence has become a well-remembered moment of the Olympics History. This is the highest demonstration of determination – he set out to complete and finish the race, and he stayed focused on completing the race. HIs father, seeing how much pain his son was in, jumped in to offer a helping hand. It completes a real, human story of such determination, focus, resilience and support. Sometimes all we need in a hand of support extended to us to be able to succeed in life. 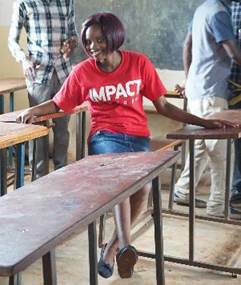 Impact Network is providing that hand to approximately 6,000 children who walk long distances to access quality education offered at our community schools. 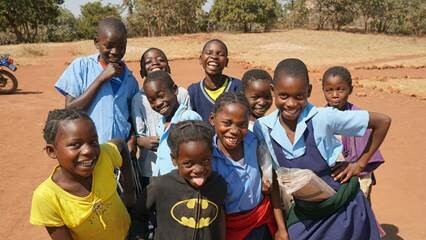 Their teachers are well-supported through mentoring, coaching and training, to be able to provide this education in remote parts of eastern province Zambia that would otherwise not be able to access quality education. Students are learning to read and write, and achieving their highest learning outcomes with our support. The dedication from both teachers and learners is amazing. As we continue this important work, our hope is that we may help our learners to achieve their best as they learn, develop and grow. We never know – maybe the next Derek Anthony Redmond might come from one of our rural communities in Zambia. Here in the US, January 21st marks Dr. Martin Luther King Day (his official birthday was January 15th), and I hope that we can each spend some time honoring Dr. King in our own way. Dr. King is remembered for so much, but his iconic “I Have a Dream” speech is one of his most famous. His address called for the end of racism in the United States, spoken to over 250,000 civil rights supporters at the Lincoln Memorial during the March on Washington for Jobs and Freedom. Each MLK day, I try and read something that Dr. King wrote. But today, by chance, my cousin sister played a recording of this iconic speech while we were driving and it reminded me that while the words are important – the passion and conviction behind those words are moving in their own right. What struck me was that the most moving part of Dr. King’s 17-minute speech was the one that was off-course. That the most famous passage, the one that resonated with the crowd 50+ years ago, and with me still as I re-read his words – is the one that was not planned, not scripted, but purely from the heart. It reminded me of the value of speaking honestly, and warmly – not just when addressing an audience, but also when, and especially when, addressing one another. We are each connected to one another, if not informally through friendships that have evolved over the years, then through the collegiality that comes from working together towards something we truly care about. And it’s important to remember that in our communications, while it’s crucial to talk about the tasks we need to get done, and the to-do lists we need to make progress on – it is equally important to connect with one another on a deeper, more meaningful level. It is only from that deeper level that we can become the community that Dr. King so often speaks of. We piloted a guided reading program in 2018 and are so excited that this project will continue in 2019! Providing education in truly under-served areas can bring unique challenges. While the average first grader at Impact Network school is 8.9 years old, there are also sometimes teenagers in first grade. These older students did not have the opportunity to go to school before, or experienced disruptions in their school attendance, which often reoccur. What skills should be prioritized when children have never been exposed to formal education? https://www.dailymaverick.co.za/article/2018-09-10-literacy-you-just-cant-fake-it/ . Reading fluently is a fundamental skill that unlocks higher-level learning. Impact Network has been doing a lot of work recently to improve the reading comprehension of our students, through a fifth grade guided reading program piloted in our Katete West Grade schools. · Always assess. Measuring the abilities of each child before, during, and after each educational intervention is the only way to provide personalized learning designed with individual strengths and weaknesses in mind, and the best way to understand whether an intervention is working as planned. · Teach to the right level. In alignment with UNICEF and USAID, the guided reading program at Impact Network uses leveled texts, so students can practice their skills at their current ability level, before moving on to the next level. Especially given the reality of multi-age classrooms in rural Zambia, it’s critical for learning that we meet students where they are. · Provide children with time to read independently, and time to read in pairs. Reading is not only a skill, it’s a habit of attention. Silent sustained reading opens up a new way of imagining the world to children. Reading in pairs helps kids test their knowledge with peers. · Create small group activities that guide children through the skills they are mastering, such as sounding out phonemes. Teachers and school support officers can maximize their effectiveness by working with small groups of students who are at the same level. We have been happy to see that after participating in the program, students that started at the lower levels have been able to match the abilities of higher level students by the end of the term! The program helped to close the gap we see between some of lowest and highest ability students. It’s the support we get from our incredible donors, networks, and organizations that makes it possible for Impact Network to continue to tweak our academic programs to better serve our most at-risk students. Here’s to a great 2019! Welcome to 2019! I hope everyone had a wonderful holiday and are ready to get the year started! Over the course of 2018, 100 million+ people got electricity, and another 100 million+ people got access to clean drinking water. In the 1980s, 44% of the world’s population was living in extreme poverty – today it is less than 10%. Child deaths have decreased dramatically – from 19% in 1960 to 4% today. Literacy rates are at the lowest level in history – and while there is still a lot of work to do in developing countries, most evidence shows that younger generations are better educated than older ones. Secondary and tertiary education is becoming more and more important. In 1970, there were only 700 million people in the world with secondary education or higher, but by 2100, we are expecting 7 billion people to be in this category. In the last 20 years alone, we have halved the number of out of school children. Still – there is a lot of work to do. Current projections estimate that it will not be until 2050, that most literacy gaps will be filled. While a ton of work has done to expand educational access, the truth remains that education quality has been more difficult to tackle. 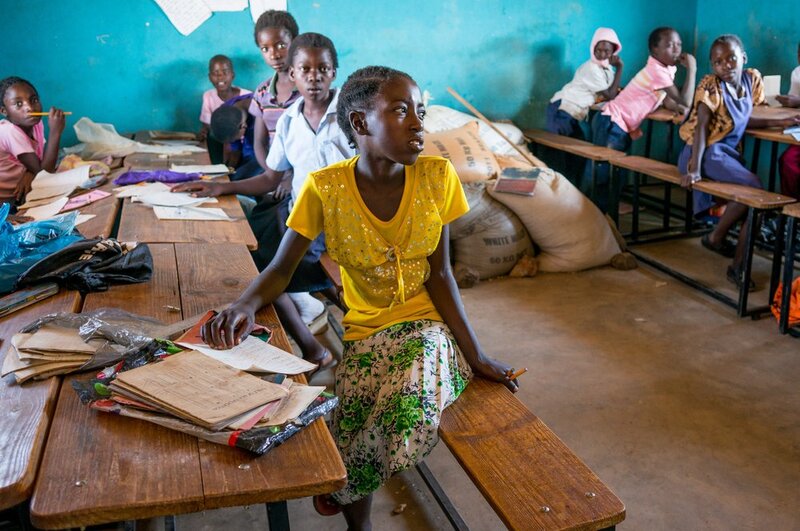 For us, it makes the work we do in Zambia even more critical – and worthwhile. As we reflect on 2018 and look forward to another year – I’m so impressed and pleased with the progress Impact Network has made to improve education quality for our 6,000 students. I can’t wait to see what 2019 has in store! Last week, for the first time, women accepted Nobel prizes in both Chemistry and Physics. Dr. Donna Strickland, a professor of physics at the University of Waterloo in Canada [from Reshma: my alma matter! ], became one of only three women in history to win a Nobel Prize in Physics, and the first in over 50 years. The previous winners were Marie Curie in 1903 and Maria Goeppert Mayer, in 1963. Dr. Strickland shared the award with two male scientists – French physicist, Gérard Mourou, and American scientist, Arthur Ashkin, who pioneered a way of using light to manipulate physical objects. Dr. Strickland won the award for her innovative work on high-intensity laser pulses. Her work with Dr. Mourou “paved the way towards the shortest and most intense laser pulses ever created by mankind,” according to NobelPrize.org. Their method, known as chirped pulse amplification, allowed for more precision in laser technology and has allowed for several real-world applications, including Lasik eye surgery. In the chemistry field, Dr. Frances H. Arnold, became the 5th woman and 2nd in the last 54 years to be awarded the Noble prize in Chemistry. She is an American professor of chemical engineering, bioengineering and biochemistry at the California Institute of Technology in Pasadena. She also shared the award with two male scientist, George Smith of the University of Missouri and Gregory Winter of the MRC Laboratory in Cambridge, England. Dr. Arnold won it for her work conducting the directed evolution of enzymes and proteins that catalyze chemical reactions. This work could lead to more environmentally friendly manufacturing of chemicals, including drugs, and in the production of renewable fuels. Dr. Arnold believes “As long as we encourage everyone — it doesn’t matter the color, gender; everyone who wants to do science, we encourage them to do it — we are going to see Nobel Prizes coming from all these different groups.” Maybe even one of our students in rural Zambia. I won’t pretend to completely understand their work, but the story has some great lessons around loving what you do, breaking through barriers and thinking about different ways to solve problems. Our Zambia staff might not be up for a Nobel Prize this year, but they turn these lessons into practice each and every day by going up against tough rural conditions, limited resources and unpredictable circumstances. They do this with determination, grit and a smile. As the school year has just come to an end, we want to thank them again for their hard work and commitment to Impact Network.